This is probably the earliest Mademoiselle Lenormand deck produced by Wüst, stencil coloured and dating from about 1860. 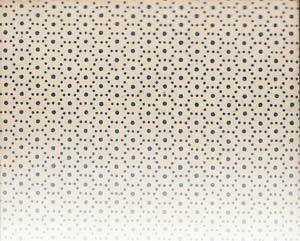 The reverse has a dotted pattern. The inset court cards are different to later Lenormand decks, but a chromo printed version also uses these court cards. A maṇḍala of 36 cards (perhaps representing 360° of space) depicting worldly appearances and revelatory symbols for exploring inner states through intuitive vision? 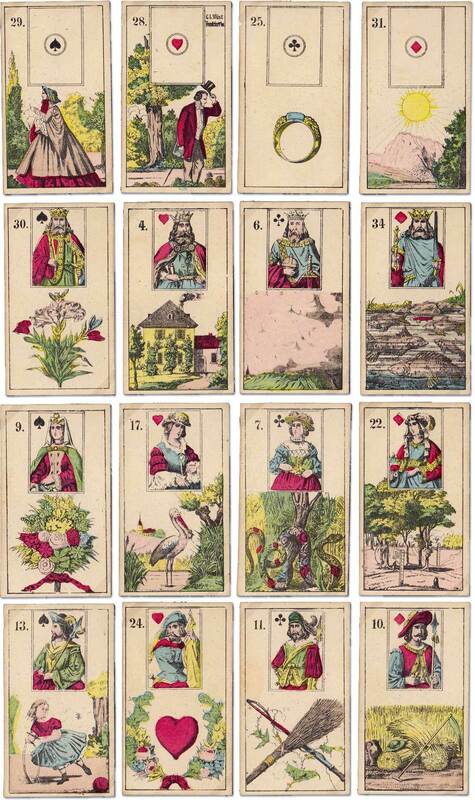 Above: Wüst Lenormand fortune telling cards, c.1860. 36 cards, size 76 x 43 mm, which is slightly smaller than later versions. Images courtesy Paul Symons.